An unlicensed adoption worker who’s been the focus of a 7 Action News investigation has turned herself in to the FBI. 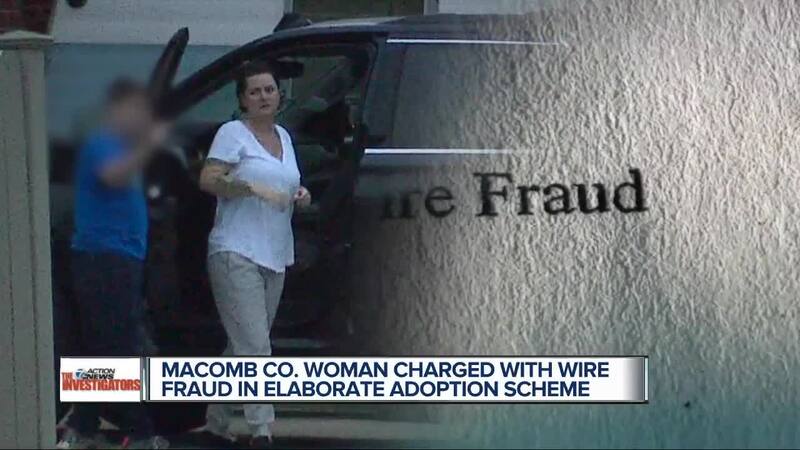 MACOMB COUNTY, Mich. (WXYZ) — The 7 Investigators were the first to tell you that a Macomb County mother is charged with federal wire fraud, and now she squares off with the state of Michigan in court on Monday for working as an unlicensed adoption worker. On Friday, 37-year-old Tara Lynn Lee of New Haven had to turn herself in to the FBI to face a charge of wire fraud . If she’s convicted, she could face up to 20 years in federal prison. The FBI has a hotline set up if you have information about Tara Lee: 313-965-2227. Monday’s hearing in Macomb County Circuit Court is related to the allegations described in the FBI’s case, but now the state is trying shut Tara Lee down and prevent her from working on any adoptions. Lee has been under investigation for months. The FBI raided her house back in November, and families across the U.S. have been calling the 7 Investigators with stories of heartbreak and financial ruin after failed adoptions. “It’s heartbreaking, because I’m surrounded by all this baby stuff and it doesn’t have an owner,” Stacey Markley from Ohio told the 7 Investigators back in December. FBI agents say Lee was charging couples like the Markley’s between $10,000 and $33,000 when they “matched” with an alleged expectant mother. According to the state’s complaint, Lee and her business, Always Hope Pregnancy Center (formerly known as Always Hope Pregnancy Center, LLC), provided unlicensed adoption services both at her former location in Eastpointe and at her home in New Haven. The state started receiving complaints about Lee back in 2015. At the time, MDHHS investigators determined Lee was providing adoption services without a license and she was told to stop or get a license. The state got another complaint in 2018 after Lee arranged an adoption with a birth mother from Detroit and a couple in Wisconsin. State officials say Lee is in violation of the criminal provisions Child Care Organizations Act. Lee denies that, and her attorney Sanford Schulman says her work as an “adoption coach” does not require a license. Schulman points out that Lee’s contracts say that she is not a licensed adoption agency. But state licensing officials confirm, Lee is not a licensed counselor. According to the FBI, Lee used a fake diploma from Northwestern University. The 7 Investigators have seen a photo of the diploma that indicates Lee received a Masters of Social Work from Northwestern University’s School of Business in June 2016. A spokesman for Northwestern confirms their School of Business does not offer an MSW, their diplomas do not look like the one with Lee’s name on it, and they have no record of Tara Lee ever attending the university. Both sides face Judge Diane Druzinski Monday morning.